The Discordance Between HER-2/NEU Expression Assessed by Immunohistochemistry (IHC) and Fluorescence in Situ Hybridization (FISH): Is It Important to Detect? Cukurova Medical Journal. 2014; 39(1): 53-60. 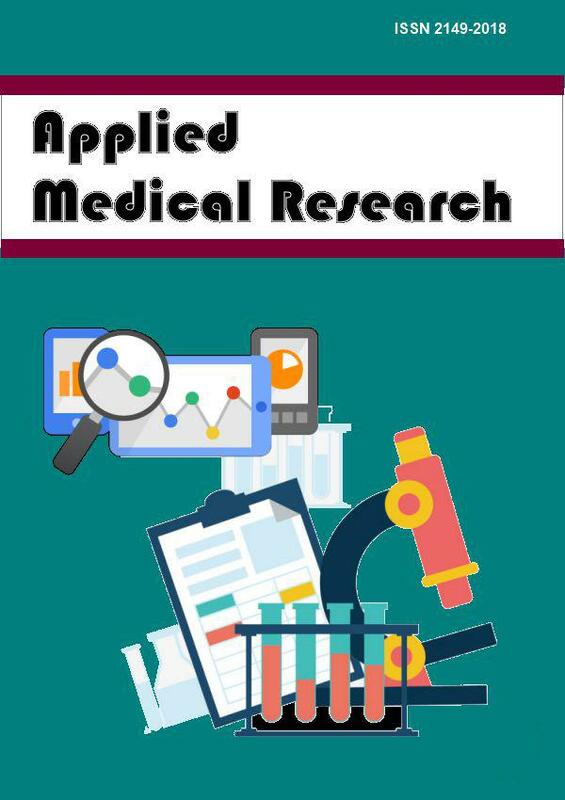 Archives Medical Review Journal. 2003; 12(3): 157-165. Psikiyatride Guncel Yaklasimlar - Current Approaches in Psychiatry. 2017; 9(1): 75-100. Düşünen Adam: The Journal of Psychiatry and Neurological Sciences. 2012; 25(2): 157-169. Klinik Psikofarmakoloji Bulteni-Bulletin of Clinical Psychopharmacology. 2004; 14(2): 83-87. Klinik Psikofarmakoloji Bulteni-Bulletin of Clinical Psychopharmacology. 2002; 12(1): 1-5. Düşünen Adam: The Journal of Psychiatry and Neurological Sciences. 2011; 24(3): 222-227. Düşünen Adam: The Journal of Psychiatry and Neurological Sciences. 2006; 19(2): 64-71. Journal of Turgut Ozal Medical Center . 2016; 23(3): 331-335. Düşünen Adam: The Journal of Psychiatry and Neurological Sciences. 2015; 28(2): 112-118. Journal of Experimental and Integrative Medicine. 2013; 3(3): 181-184. TAF Preventive Medicine Bulletin. 2007; 6(3): 161-168. Medical Bulletin of Sisli Etfal Hospital. 2014; 48(3): 182-7. Journal of Turgut Ozal Medical Center . 2018; 25(1): 100-104. Annals of Medical Research. 2018; 25(1): 100-104. TAF Preventive Medicine Bulletin. 2007; 6(5): 345-350. Cukurova Medical Journal. 2014; 39(1): 169-174. Cukurova Medical Journal. 2016; 41(2): 299-303. Cukurova Medical Journal. 2014; 39(2): 377-382. Cukurova Medical Journal. 2016; 41(2): 316-325. Journal of Mood Disorders. 2016; 6(2): 79-81. Cukurova Medical Journal. 2016; 41(4): 808-810. Cukurova Medical Journal. 2016; 41(2): 393-395. Cukurova Medical Journal. 2013; 38(1): 126-130. Medicine Science | International Medical Journal. 2015; 4(1): 1912-26. Medical Bulletin of Sisli Etfal Hospital. 2014; 48(4): 303-7. Cukurova Medical Journal. 2015; 40(1): 119-128. National Journal of Physiology, Pharmacy and Pharmacology. 2015; 5(2): 157-159. Medicine Science | International Medical Journal. 2014; 4(1): 1912-26. Medical Bulletin of Sisli Etfal Hospital. 2015; 49(3): 200-4.